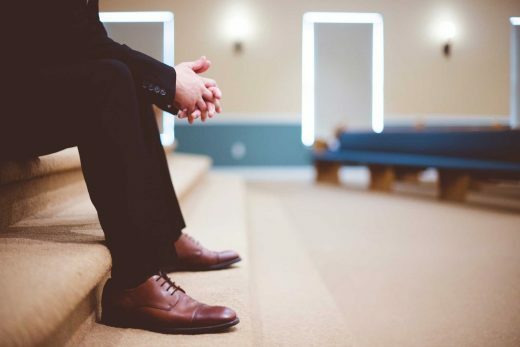 As a local priesthood or auxiliary leader in the Church, Latter-day Saints struggling to understand or resolve feeling of same-gender attraction may come to you for official counsel or personal support. Thank you for your love and compassion for those you serve as evidenced by your willingness to seek additional insight. We have the greatest respect for the established authority in the Church of Jesus Christ. We recognize that there are a number of official resources available to church leaders to help you know how to best meet the needs of those members within your stewardship. Additionally, we recognize and honor the priesthood keys you have been given which entitle you to necessary revelation. This site is intended to simply provide additional insight from Latter-day Saints who have personal experience with same-gender attraction and who are seeking to remain faithful to the restored gospel and church of Jesus Christ, and to the inspired leadership of those He has called as latter-day prophets, seers, and revelators. We hope our collective experiences may be of some value to those for whom the topic of homosexuality is uncomfortable or unfamiliar. As you read these thoughts and ideas, we pray that the Lord will bless you with inspiration tailored to the specific circumstance you face. We are grateful for your service and willingness to bless the lives of others. May God bless you in all your efforts. The Church has provided a number of official resources available to church leaders to help you know how to best meet the needs of those members within your stewardship. As an added resource, we’ve collected some thoughts and materials that we hope will be of additional help. We have also included frequently asked questions (FAQs) and possible answers to assist you. In providing this information, we do not speak for the leadership of the Church and these insights are the sole responsibility of North Star contributors. For official direction, priesthood and auxiliary leaders have general handbooks of the Church and ongoing direction from area and general Church authorities to guide you in your ministry. The ideas contained here, therefore, are intended simply to provide additional insight from Latter-day Saints who have personal experience with same-gender attraction and who are seeking to remain faithful to the restored gospel and church of Jesus Christ, and to the inspired leadership of those He has called as latter-day prophets, seers, and revelators. As we share some of our own insights, we also provide reference to official and unofficial statements from Church leaders as they’ve address the issue of same-gender attraction or provided counsel to members of the Church dealing with these issues. What are a few important things to know? Don’t stereotype the feelings, beliefs, or experiences of someone merely because they don’t experience attractions most people do. Offer the same love, acceptance, and encouragement you always have. Learning about this single issue doesn’t change the lifetime of experiences you may have already shared. Be sensitive to the fact that the language people use to describe their attractions and feelings may be easily misunderstood. The typical words people hear hold different connotations for different people. Find ways to communicate clearly while avoiding embarrassment or offense. You may have the opportunity to help more than one member choose materials that will help them remain close to the gospel and achieve greater peace regarding the specifics of their personal situation. May God bless you as you help them find the best resources, both spiritual and secular, and as you, “bear one another’s burdens, that they may be light” (Mosiah 18:8). 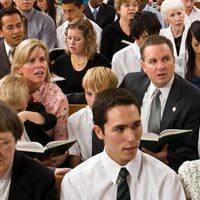 What have Church Leaders Said About the Role of the Priesthood Leader in Relation to the Same-Gender Attraction?